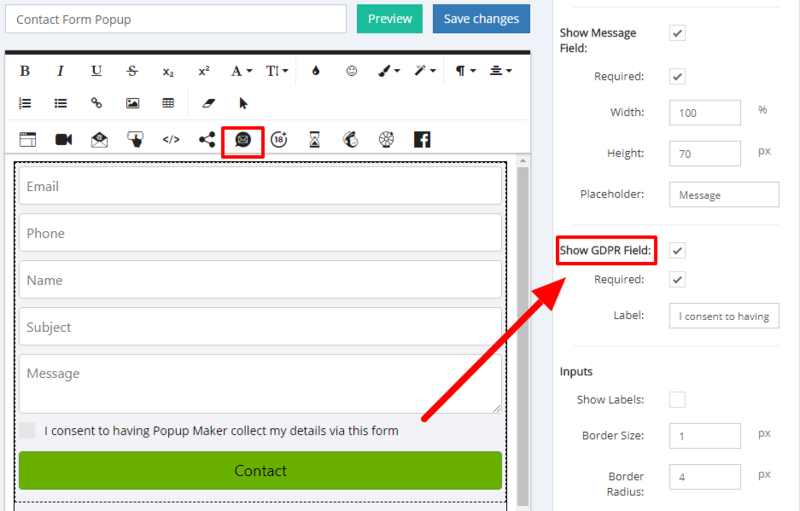 In the "Contact Form Element Options" section of your contact form popup type, you can see "Show GDPR Field" option. Check this option to add a GDPR compliance checkbox inside your Contact form. You can choose to make it "Required" and add your own "Label" for the checkbox, like: I consent to having Popup Maker collect my details via this form. Check a detailed article of creating a Contact form popup here: How to use a Contact form?